If you’ve paid any attention to tech news or the ads on your Facebook lately you’ve heard about Coin. 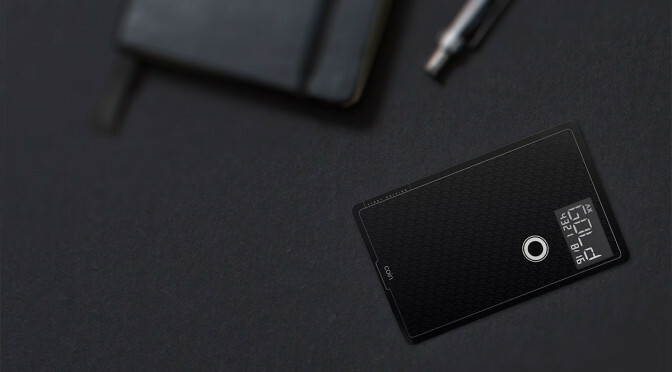 It’s an electronic device the size of a credit card that you can store all your credit, debit, rewards, and gift cards on. When you’re ready to pay just press a button to select which one you want to use and swipe it like you would a regular credit or debit card. When I first heard about Coin the technology lover in me thought it was the coolest thing. I really wanted one. Then the responsible part of my brain kicked in. It’s the part that had been soaking in all the information on how to get out of debt as my wife and I attended Dave Ramsey’s Financial Peace University every Sunday night at our Church. It seems to me that the novelty of a product like Coin will encourage our society to continue to overspend. That said, I do like the low energy bluetooth security feature it has built in. You connect it to your smartphone. If you leave the Coin behind and it becomes out of range of your phone you’ll get a notification. Clever. While I can see that Coin could be convenient and cut down clutter for some I’ve decided it’s not for me. I’ve slimmed down my wallet already by getting rid of credit cards and just using a debit card. Sure, there may be times when I get the occasional gift card but to me it’s not worth the $100 ($50 if you pre-order) to be able to combine cards. So what do you think? Want one?